"The only way you're going to feel better is if we figure out some way for you to let her go…" Freestyle Media has unveiled the first trailer for The Bachelors, an indie dramedy directed by Kurt Voelker that first premiered at the Los Angeles Film Festival. The film is about a man, played by J.K. Simmons, who takes his teenage son and moves into the big city after his wife dies. As they each begin to adjust to their new life and seek ways to heal their wounds, they both find comfort in newfound romance. The impressive cast includes Julie Delpy, Josh Wiggins, Kevin Dunn, and Odeya Rush. This looks charming and heartfelt, and full of some fun scenes as well as touching moments. As usual for American indies, but I'm still curious. After the early death of his wife, a mourning father moves with his teenage son across the country for a private school teaching job. Their lives begin to transform due to two unique women, who help them embrace life and love again. The Bachelors is both written and directed by up-and-coming filmmaker Kurt Voelker, of the film Park previously as well as the screenplay for animated film Rock Dog. Voelker is a graduate of USC's School of Cinema-Television. This first premiered at the Los Angeles Film Festival this summer, and also played at the Deauville and San Diego Film Festivals, too. 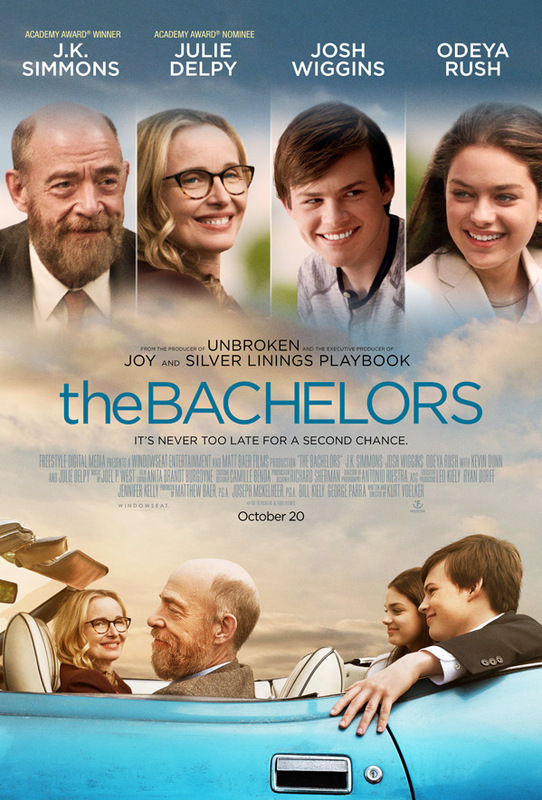 Freestyle Media will release Voelker's The Bachelors in select theaters + on VOD starting October 20th this fall. Is anyone interested?